We've had more than our share of impressive casting announcements for DC Universe shows lately. But the biggest one yet has just broken (via Variety) -- Joel McHale will play the legendary Starman in DC Universe's live-action Stargirl series, debuting in 2019. The much-loved McHale is best known for hosting the long-running The Soup and for starring in the fan-favorite TV comedy Community as well as The X-Files. "Joel McHale plays rich socialite Sylvester Pemberton, a.k.a. Starman. A courageous and confident Super Hero, Starman is a member of the Justice Society of America – DC’s original Super Hero team, which first appeared in ALL-STAR COMICS #3 in 1940. 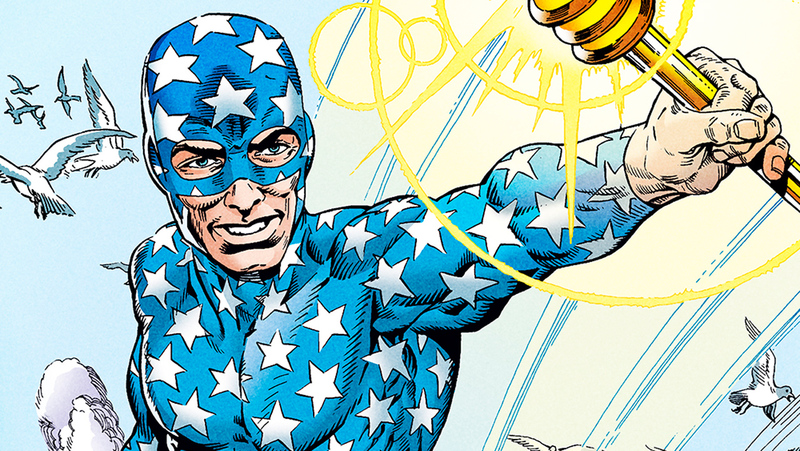 Starman wields a mysterious anti-gravity weapon called the Cosmic Staff. 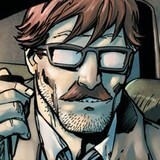 His longtime partner is his sidekick, Stripesy, better known as Courtney Whitmore’s stepfather, Pat Dugan." You can read All-Star Comics #3 here. Are you a Starman fan? What do you think of Joel McHale's casting? Let us know in our Community!